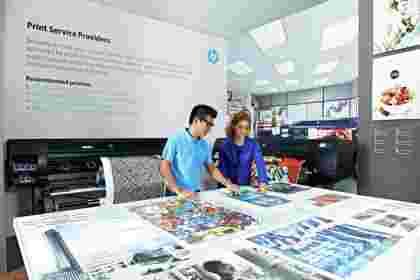 Formed by Stanford University friends Bill Hewlett and Dave Packard in a rented garage back in 1939, HP is a market leader when it comes to wide format printers. 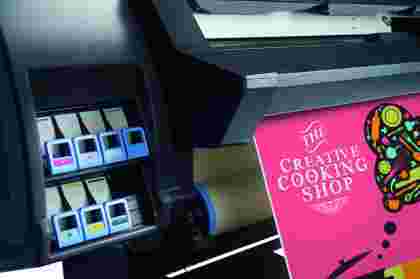 It was, after all, the first company to introduce thermal inkjet printing to the market, and even today it continues to innovate and impress. At Perfect Colours, we stock a wide variety of HP large format printers suitable for a range of different purposes. We’ve detailed the types of HP printers we stock below, so you can decide which is best for your needs. If, however, you have any questions about any HP product, please do get in touch with our experts. HP’s range of technical printers come in many different sizes, so no matter what environment you’re working in, we have something suitable for your business. If space is limited, the 24-inch DesignJet T520 is perfect for smaller offices. Capable of delivering everything from black and white CAD drawings to full-colour presentations, this model is efficient. An A1 print can be outputted in just 35 seconds, thanks to the T250’s 1GB of RAM. For larger applications, the T795 printer is capable of printing up to 44 inches wide. It’s a hassle-free, easy to use machine that produces prints quickly – on Economode an A1 print takes just 28 seconds to produce. The 16GB of in-build memory means complex files can be processed with speed and ease. We stock a number of DesignJet Z Series printers from HP, perfect for all types of industries, from retailers and event organisers to professional artists and photographers. The Z Series boasts the production of high-quality prints that will last up to 200 years without fading – that’s serious value for money! If you need to produce prints quickly, the Z6200 is the fastest in its class. Capable of printing up to 140m² per hour and 42 inches wide, this model maximises productivity whilst reducing costs. The extra-large 775ml ink cartridges not only mean you’re switching them out less often, you’re not having to buy new ones as often. HP claims businesses can save up to 50% in total production costs when they use its range of PageWide printers – the fastest large format monochrome and colour printers on the market. 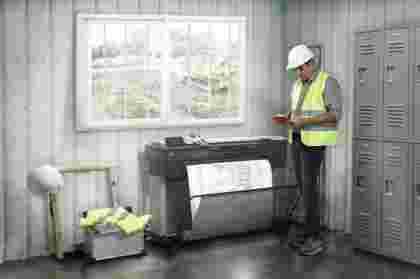 The 8000, for example, can print up to 30 A1 pages per minute! Meanwhile, the 4000 production printer is designed to remove the need for two printers, as it can hold up to four media rolls and switch between them automatically. It’s space-saving design means it can fit into virtually any work area, too. Promising wider versatility and high profit margins than eco-solvent, HP’s range of latex printers is ideal for a range of applications, including wallpaper, banners, canvas and films. Prints come out dry, so they can be delivered to the customer instantly and no special ventilation for these machines is required either. It’s easy to see the benefits of latex! For large jobs, the 850 is great, as it prints up to 126 inches wide. 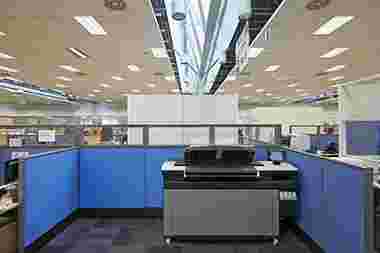 It’s fast too, managing 177m² per hour and delivering images of 1200 dpi. If you need any advice on our HP products, please get in touch today, as we can help find the right printer for your needs.